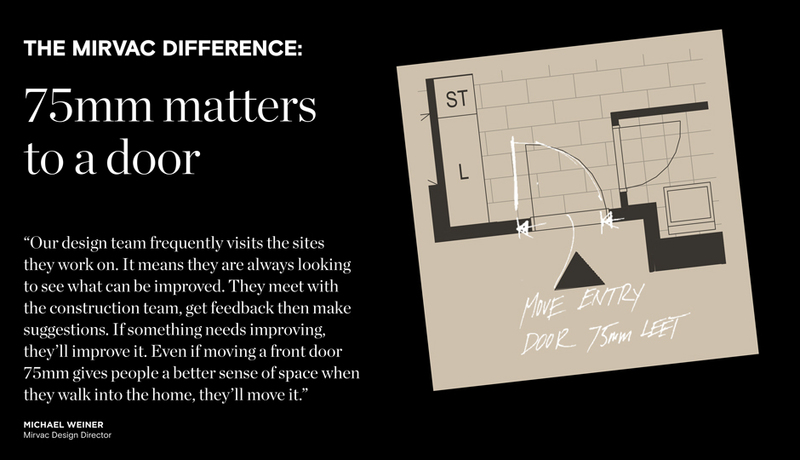 Doors are an important – and often overlooked – aspect of design. 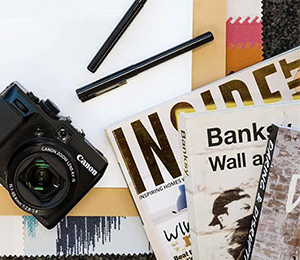 Here’s how positioning, style and finishes can transform your living space. 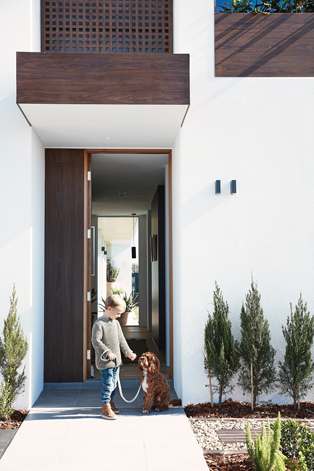 More than just a point of entry and exit, doors have a profound impact on the way a home feels to live in and move through. A badly placed door will mean you’re constantly crab-stepping around furniture. But if it’s done right, you’ll be able to waft smoothly around your home with your eyes closed. From placement and styles, to choice of materials, the right door opens the way to effortless living. When it comes to placement, a door can be a subtle and barely noticeable feature of a room, or a focal point used to create scale and interest. However, it’s not as simple as deciding what looks good. 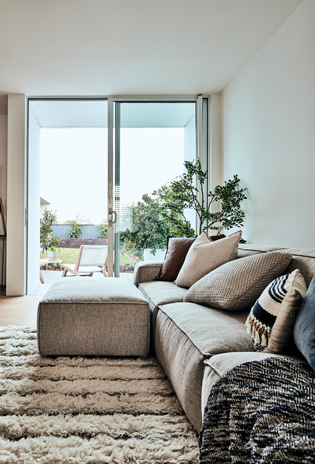 “Door placement has a domino effect and it will restrict where you are able to comfortably and logically place furniture in the room,” says Mirvac Senior Design Associate Victor Wong. When you’re in the design process, take a close look at door clearances – the arc of the door swing – and place to-scale drawings of furniture into your plan to find the door location that gives the maximum amount of flexibility of furniture placement. 2. What style of door? Placement is important, but equally key is the style of door you choose. French doors, barn doors and pivot doors can all be used to make a strong visual statement, almost like a work of art set into a wall. More common in a contemporary home, however, are barely-there doors, designed to increase the sense of light and openness. These works particularly well when the door height is raised all the way to the ceiling. Another trick is to remove the architrave around the door. 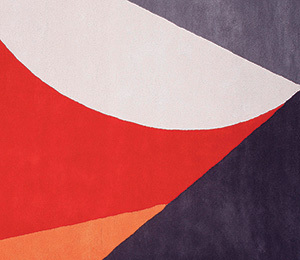 This detail – or lack of detail – creates a beautifully clean line and a sense of simplicity and refinement. All doors are not created equal and what you choose will depend on the requirements of the space, the look you’re after and, of course, budget. Internally, the choice is usually between solid core and hollow core – and if you select hollow core, there are different types with varying acoustic ratings. Front doors have different requirements again – in a house, they need to be able to withstand harsh weather and keep out rain, insects and dust, while apartment doors have strict specifications for fire safety. In terms of appearance, the options are endless. To create a seamless look, most doors are painted to blend into the surrounding wall. But if you want the door to be a focal point, it’s possible to use timber veneer, solid timber or even a metal finish. The easiest way to make a statement is with door hardware, which comes in myriad shapes and finishes. Choose hardware that feels comfortable (levers are easier to operate than knobs) and then consider matching the handles to other finishes in the house, such as tapware or cabinet pulls. With endless options, from black and bronze to copper, there’s a whole world beyond the standard chrome lever. Door design is not only about the door itself, but the floor beneath. This threshold space is often where two different materials meet and needs to be approached mindfully. “When you’re changing materials (from room to room), you need to be very mindful about the interaction of the two materials – it could be tile or stone to carpet or timber. You want a comfortable transition, both visually and physically,” explains Tyler. A flush finish is most desirable, but when one of the spaces is a wet area – for example, a bathroom coming off a hallway – the most important thing is to achieve the right compliance fall within the wet zone, meaning there will be a very slight angle at the threshold. This is where attention to detail matters, done right, this slight difference shouldn’t really be noticeable. The way door design is approached varies between houses and apartment buildings, with the greatest difference being the opportunity afforded by choosing a front door for a house. “The front door is the first impression, so it needs to be a focal point and to be easily identified,” says Tyler. It’s an opportunity to express your individuality, with options ranging from a traditional 900mm-wide flush hinge door to a 1200mm-wide pivot door, and many variations in between. The front door is also a place to play with statement hardware, or to future-proof your home with state-of-the-art digital access. Doors to outdoor spaces should be chosen with care, as these provide an all-important connection between indoors and out. French doors look gorgeous, but take up more space than bifold or sliding doors, as you have to factor in the arc of their swing. Space saving products such as sliding cavity doors come into their own in a compact environment like this, giving more flexibility and maximising the liveability of the space. Potentially, they can also be used to create a multi-purpose space, which is a technique often seen in European or Asian apartments. 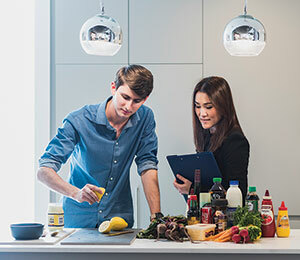 For example, a sliding system set on ceiling tracks could divide the kitchen from the living room, creating public and private spaces within an open plan.